Have you ever left the house and not been able to remember if you closed the garage door? That will never happen again with a garage door controller as part of your QEI Security & Technology home automation system! Did you know that 70 percent of Americans use their garage door as their primary entrance to their home? That provides plenty of opportunity to leave it open by accident, potentially exposing your car, tools and home. To protect your property in Charleston, SC or elsewhere in South Carolina, install a z-wave garage door controller and our location-based automation can send a notification to your smartphone if you leave your neighborhood and the garage door is still open. With the simple touch of a button, the app opens and closes your garage door every time. 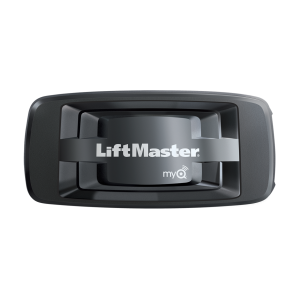 This device works seamlessly with your existing garage door opener to extend the remote-control operation of your garage door beyond your home. It does not replace your existing garage door opener and your garage can still be opened with the remote, wall button or keypad. Most garage door openers made after 1998 can be integrated with the QEI home automation system in Charleston, SC and across the state. An added bonus with the QEI Security & Technology home automation system in Charleston, SC is unexpected activity alerts. If you typically work Monday through Friday during the day and your garage door opens unexpectedly, the system will send you a notification. Maybe it is just your teen skipping school (now they’re busted!) … or maybe it is something more serious. Schedule your garage door to automatically close at dusk. With geo-services technology, receive a notification on your smartphone if you leave your neighborhood and the garage door is still open. Program a prompt to close the garage door if it has been left open for more than one hour. Create a “scene” that closes the garage door, locks the door and arms the security system in stay mode. Set up notifications when the garage door opens and closes, making it easy to keep track of teen drivers.